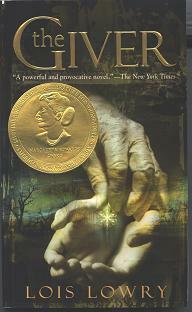 Lois Lowry’s The Giver changed my life when I was young, about 14, I’d guess. I was trying to figure out what I wanted to do with my life, and all I knew was that I didn’t want to become a businessperson. My relatives were all businesspeople, and not even in exciting jobs like manufacturing toys or selling books. With the exception of one uncle whose job required him to travel often, everyone else’s jobs seemed a vague, bland mass known only by the generic term “business.” I wanted to be something more exciting — a writer, maybe, or a lawyer or detective! My career dreams were heavily influenced by books I loved to read, where characters seemed to lead such exciting lives. Yet I was also afraid an office job would be my most practical, viable option. At 14, I wasn’t sure what I wanted, only that I wanted to LIVE, all caps, flashing lights and everything. So Jonas’ world in The Giver really spoke to me. An orderly, “perfect,” yet ultimately colourless society, it is an ambiguous utopia, much like Anarres in Ursula le Guin’s The Dispossessed, where the inhabitants are content enough (no Hunger Games style scrounging for food) but no one’s truly happy. Everyone’s life is strictly planned out since childhood; your career is chosen for you at twelve based on your observable skills and you enter a few years of training before starting to work. All the memories of the world we know — all all the joy and pain that come with them — are stored in one person, The Receiver, who shields the rest of the town from those experiences. This society has sacrificed individual freedom and extreme emotion for peace and satisfaction. It was almost December, and Jonas was beginning to be frightened. No. Wrong word, Jonas thought. Frightened meant that deep, sickening feeling of something terrible about to happen. Jonas almost immediately corrects himself: he doesn’t feel frightened, he feels “apprehensive.” Can you imagine the twelve year olds — or heck, even the adults — in our society, who can easily say things like “OMG, I’m freaking out!” about standing in line for the upcoming Hunger Games movie censoring their emotions like Jonas does automatically? To 14-year-old me, all eager to LIVE, Jonas’ world seemed like hell. When Jonas starts to realize himself that his world isn’t as perfect as he’d always been taught to believe, I wanted him to start a revolution. His battle was my battle, in the way only the very best books, read at just the right time, can do. If he can introduce passion to his world, it somehow meant that I too would be able to inject passion into my own future. A lot of dystopian YA has been written since Giver, so let me make this clear up front: Giver doesn’t have the action or thrills of Hunger Games or Divergent. It’s a quieter, more contemplative and philosophical book. It’s also absolutely brilliant, a great book for anyone from eight years old up. It blew me away when I was 14, and it still blows me away now, at 28, though in very different ways. So imagine my delight when HMH published a gorgeous gift edition, complete with illustrations and a ribbon bookmark. It’s utterly beautiful, one that I love to think will introduce a whole new generation to this story and grace the shelves of long-time fans like me, right beside the tattered, dog-eared copy with yellowing pages read so many times over the years. When I received this book in the mail, I literally had to stop for a moment, stroke the cover, savour the slow turning of pages, and just, well, stare in awe. My sister too, who first read it when she was 10, almost teared up when I showed it to her. We all have that one book from childhood that stays with us forever. The Giver was that book for me, and seeing it re-released over a decade later, in such a beautiful edition — well, it’s an experience I wish upon all of you. Minor quibble, and to be honest, I don’t know how they could’ve avoided it, is that the illustrations give away a minor spoiler about something revealed only mid-way through the book. (If you haven’t read Giver yet, skip to next paragraph.) I remember reading how the apple changed for Jonas and not knowing how, because Jonas himself didn’t understand the change. I loved the experience of trying to figure out how it could’ve changed, and being utterly shocked at the discovery later on that colour was a foreign concept to Jonas’ town. Here, the illustration shows the apple bright red between black and white figures, robbing the readers of the experience I had, of imagining all the ways the apple could have changed. The idea of utter colourlessness is as foreign to me as colour is foreign to Jonas’ town, and I remember struggling to imagine how such a town would look. Is everything in black and white or just vague, translucent outlines? Are black, white and grey considered colours and if so, how does this town look? With Ibatoulline’s black and white sketches, however beautiful, this edition takes that mystery away completely. Unavoidable, but also somewhat regrettable. 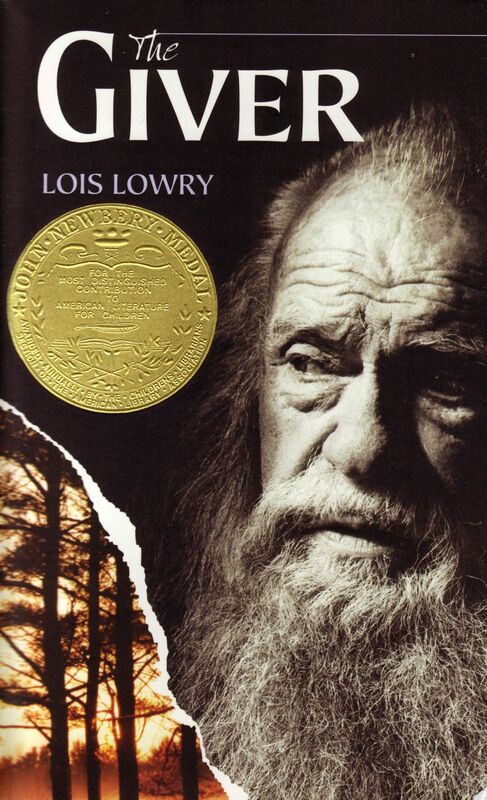 Overall, The Giver (Gift Edition) is a beautiful, fitting tribute to a mind-blowing classic. I love reading it again at 28 and seeing how much my views have changed since 14. I understand better now the desire to wipe out all pain and just lose all the memories that hurt, and I can see how that can be tempting enough to make me willing to give up even the potential for strong positive emotions. I can see how people would be willing to give up individual choice if that was the only way all wars and conflict would end. I still don’t think I’d make the choice that Jonas’ society did, but I do understand them better now. I see more now the subtle nuances in Lowry’s tale and appreciate its complexity better. What will I think of it at 42? At 56? Even next year, I might read it differently. The Giver is the kind of book that grows up with you, I think, and I love that about it. For anyone who’s interested about how my 14-year-old self’s dreams turned out: I actually did end up with a business degree. I also ended up with jobs in an art gallery and a bookstore, both of which I think will thrill my inner 14-year-old, and both of which put my business background to good use. I grew up, and learned, among other things, that business doesn’t have to be boring after all. More importantly, I learned that even with a boring job, one’s life never has to be colourless. The most mundane moments come with infinite possibility, and excitement can come from the smallest things. That spark, or rather, the desire to keep that spark ignited, I owe to Lois Lowry, The Giver, and the amazing reading experience I had at 14. For anyone who may not be aware: The Giver is the first book in a series of four. The final book, Son, was published last Fall. My review of Son here. This entry was posted in Book Reviews and tagged Thomas Allen & Son, YA by Jaclyn. Bookmark the permalink. Thank you for sharing! My teacher read this book to use when it came out and I was swept away. I read it again probably every year and now I’m 29. I emailed Lois Lowry recently and thanked her. The two books following are good as well, but nothing tops The Giver. i recently read that there will be a fourth book in ‘the giver’ trilogy, which prompted me to go on a spree of ‘the giver’ research, therefore discovering the illustrated edition and this wonderful review on it. i am 28, have a worn, dog-eared copy, and also have it on my kindle. and i too have read it every year since i was 10 or 11 and completely agree that the book grows up with you. it’s great to find others out there who were affected by this book the same as me. thank you both for sharing! The giver is also think that person who make good to other are very important to them because to the will of GOD,he/she good individual,the purposes of that is very amazing to individual to help and recognized what the people need.